FOG Blog - Gardeners talking to gardeners. The annual Christmas party is at Lisa’s house as it was last year. What a day. A fantastic turnout which included Mayor Peter Milobar, Kevin Krueger, Cathy McLeod, and so many Tomato enthuisiasts. A special thanks to all the FOG volunteers who worked hard and together which made all the difference in keeping things running smoothly. The Tomato contest entrees were wonderful and some were hilarious. The door prize draw winner is…..Dennis Oldridge -congratulations. Sarurday September 17th, at the Farmers Market, 9 am to 1 pm. Sponsored by TRU ‘Friends of the Gardens’. Our first get together since the summer. House 10 September 6, which is the first Tuesday of the month. David Williams is posting his plant of the week on the list serve because of some difficulty getting that page to work on the blog. I have not had time to delve into the issue and will not for some time. There is still time to plant this summer and many more garden tours here at TRU. The times of the tours can be found on this blog, Kamloops this week, and, The Daily News. Comments Off on Summer, are you there? 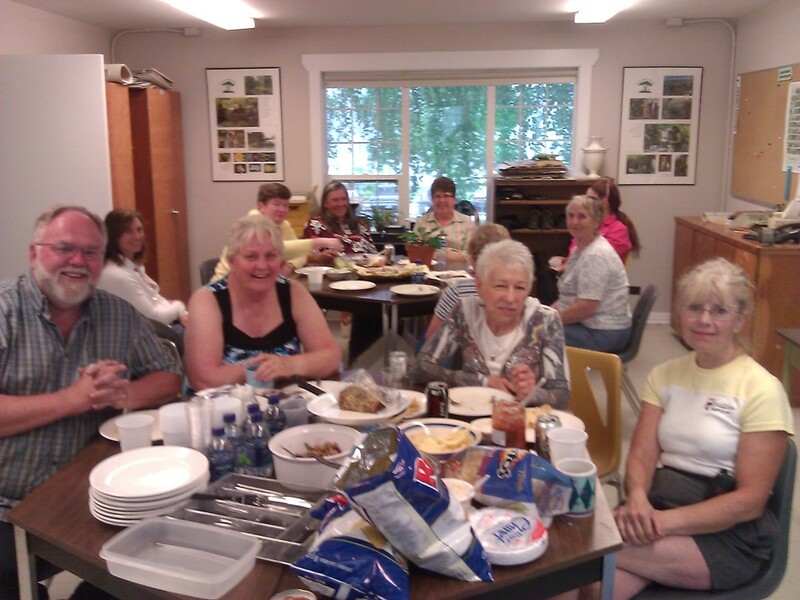 What a fun potluck we had. More of you would have been good, but the people that showed up made for a fun evening, THANKS to everyone. So far I have not had much time to update the blog, and, not many people have submitted material to publish. OK, two out of 100. That’ s 2%. I am not knocking the FOG members, it is planting season after all, and techno geeks are rarely plant freeks. So, we might have to wait until the snow is up around our windows sills again before anyone thinks of this blog. The annual barbecue is on 7 June,Tuesday at House 10. People should start showing up at around 5:30. Bring your steaks, sausages, chicken and have a great time with other FOG members. I posted this last week without a date because I thought it might have been last Tuesday, but no, that was the 31 May, plus the weather was a deluge. The link for photo of the week is now called Plant of the week. That is up on the right side on the banner. Sally sent in some nice pictures and you can see them on the ‘photos of the week’ page.